0.11-0.30 what is the man cutting out with the electric saw? 0.40-0.55 material hanging out to dry? any idea of the location? 0.56-1.03 what is the man doing here with the red material? The film then moves on to rattan furniture and bucolic scenes of agriculture in 1962. Crocodile Garments was founded in 1952 by Dr. Chan Shun, b? Guanghzou d 25th May 1997 Vancouver? The company was first listed on the Hong Kong Stock Exchange in 1971. 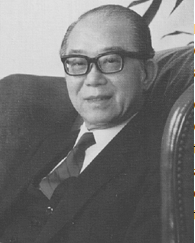 Chan sold the business in 1987 to Lai Sin Garment controlled by Lim Por Yen. He moved from Hong Kong to Vancouver in 1989. Crocodile Garments originally sold dress shirts before expanding to become the largest chain garment store in Hong Kong. They exported to Japan, Singapore and other Asian countries. A second line called Cal-Thomas was started in California, USA. Crocodile became a leading fashion label with the expansion of a woman’s line and children’s line called CrocoKids. At its peak, Crocodile garments was the largest garment chain in HK before the conception of other companies such as G2000, Giordano, and Bossini in the 1990s. This article was first posted on 4th October 2014. A note. Before selling the business to Lai San, all Crocodile stores conforms to an odd business schedule on Fridays. It will closed just a bit before sunset on Friday and would reopen on Saturday evening, also before sunset. Should be something religious but don’t know any details. The Crocodile stores used to close on Saturdays because its founder Chan Shun was a devout member of the Seventh Day Adventist Church (and major benefactor of the Adventist Hospital) which observe Saturday as a holiday. 0.11-0.30 what is the man cutting out with the electric saw? <—I do not know the technical terms, but those are fabric material, layers of them. The technician was shown cutting out the shapes for other workers to sew them up(by machine) as ready to wear items, probably under the Crocodile brand. 0.40-0.55 material hanging out to dry? 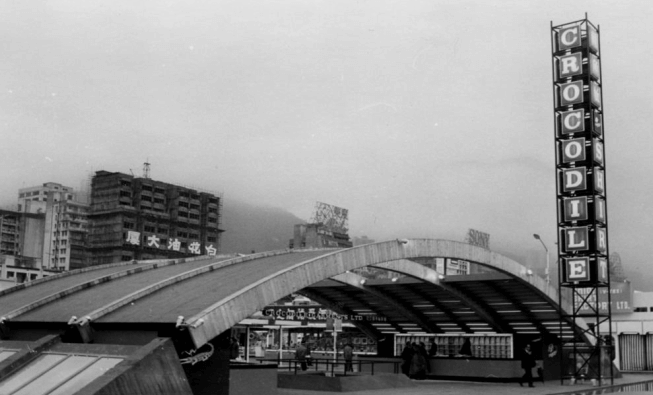 any idea of the location? <— Probably hanging the fabrics to dry after dyeing. Those are probably very fine materials like silk as the next scene showed traditional Chinese style clothing. Unable to identify the location. 0.56-1.03 what is the man doing here with the red material? <—- Likely the man is sewing up two pieces of very fine material, which they would not risk with a sewing machine. There are still master tailors capable of making cloths by ruler, scissors, needle and thread in town. Some more information. The Crocodile Shirt Building shown in the film was in Kwun Tong. It had been demolished a few years ago and redeveloped into the new Crocodile Centre. Its address is 79 Hoi Yuen Road.